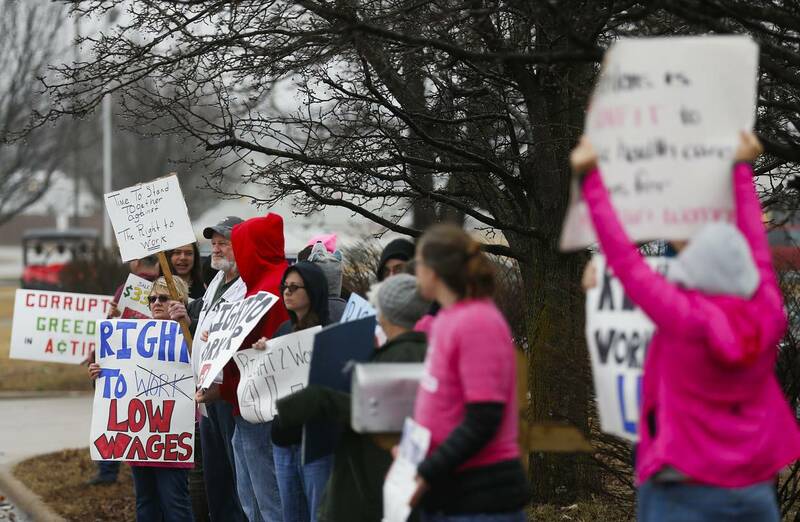 Unions push a ballot initiative to overturn a new Missouri law. Missouri’s gubernatorial election last fall was the most expensive in the nation, and it was in part a referendum on whether the Show Me State would become the 28th in the nation to pass right-to-work legislation. Organized labor spent more than $12 million on a candidate who would veto right to work but lost anyway. Republican Eric Greitens made good on his campaign promise, signing a right-to-work bill in February. The unions are now angling for a do-over. The right-to-work law was supposed to go into effect Aug. 28, but a quirk in Missouri law gives voters a referendum. On Friday the AFL-CIO and its allies turned in 310,000 notarized signatures—three times as many as needed—to put the new legislation on hold and get the issue on the ballot in 2018. In non-right-to-work states, workers are forced to hand over a portion of their paycheck to unions, whether they like it or not. 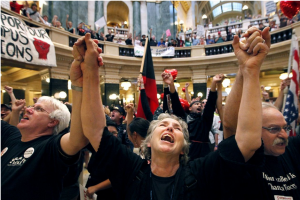 Across the Midwest, voters have asserted that workers deserve a choice, not a mandate. Missouri lawmakers also acknowledged that with seven of their eight neighbors having enacted right-to-work legislation, they needed to follow to remain competitive. When right-to-work passed in January, Missouri’s Democratic Senate minority floor member Gina Walsh admitted: “I can count. We knew this was going to happen, and as long as we had a fair, free and open debate, I was satisfied with that.” But these days unions need the help of political coercion to gain new members and won’t concede. They’ve spent heavily to gather signatures, and Missourians can expect to be deluged with anti-right-to-work messages over the next year. And as it campaigns, Big Labor will be spending the same compulsory dues money that it’s fighting to keep.